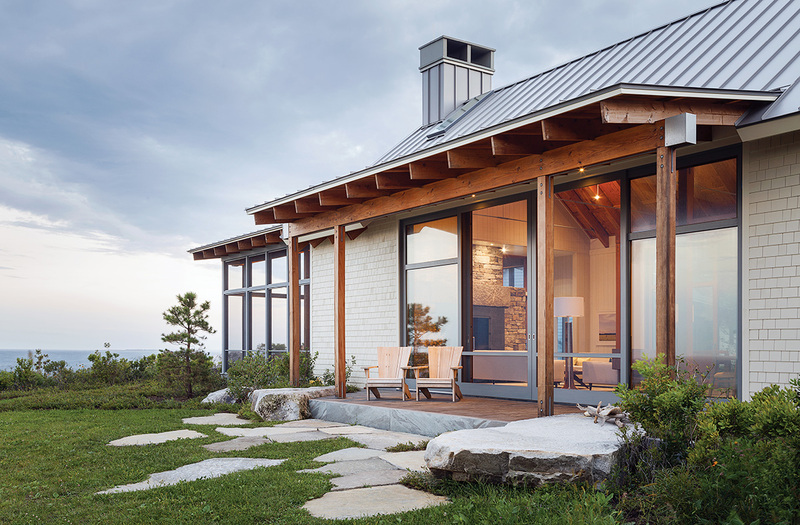 After a few years of watching the Maine real estate market hoping to find a vacation home for his young family, a New York City–based tech entrepreneur came across a stunning, 36-acre coastal plot in Scarborough overlooking Cape Elizabeth. Although he was pretty sure he’d found the one, he flew his wife north to get her opinion. “I didn’t know what her vision was—if she imagined a tight little community with lobster boats and calm waters,” he says. This property was quite the opposite: open ocean, big waves crashing on the rocks, no neighbors in sight. “It feels much more raw and closer to nature,” he adds. 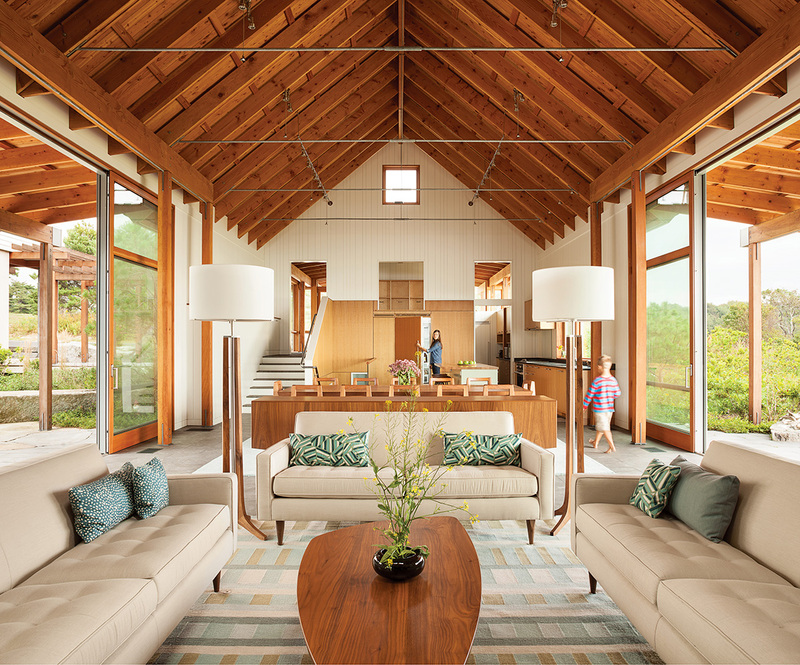 Located just 20 minutes south of downtown Portland, the former saltwater farm was ideal for the entrepreneur, his wife, and their two young children; they wanted proximity to both the airport (for easy weekend getaways from New York) and extended family who live nearby. With his wife’s blessing, he purchased the magnificent piece of land, along with the unremarkable house on it, intending to knock it down and rebuild. 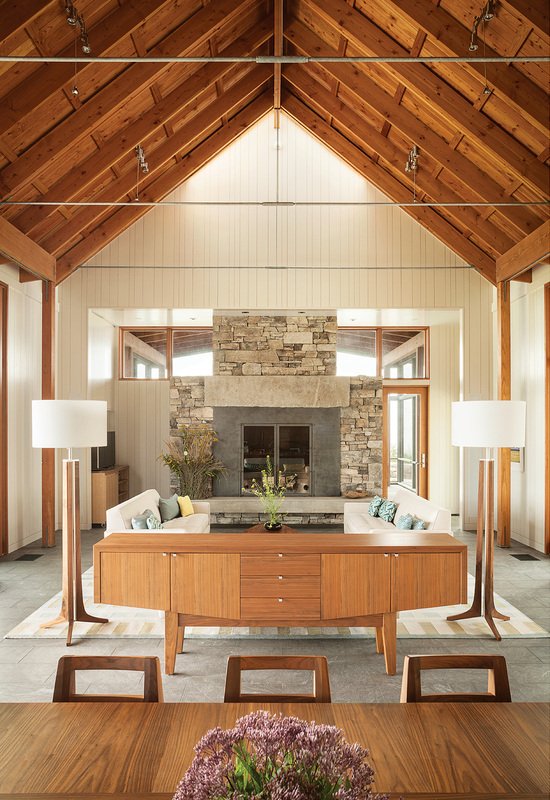 With these varied views in mind, the Whitten team came up with four design options. 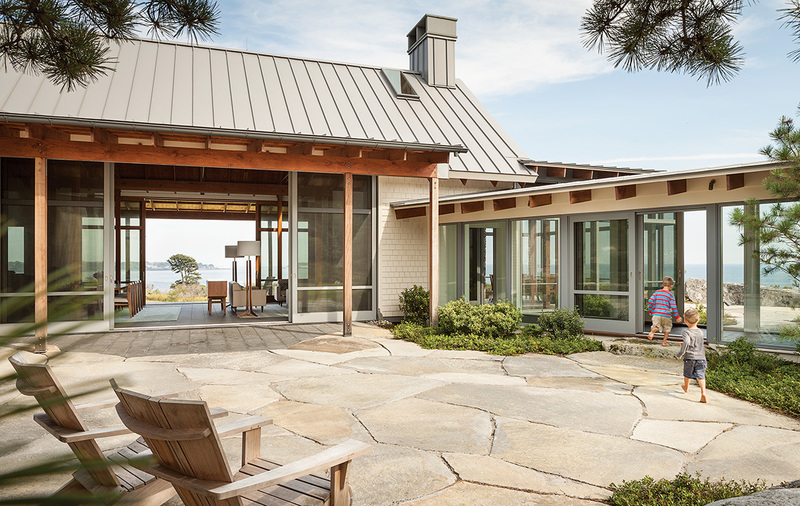 One, says the homeowner, was “an immediate click”: a single-story, 4,575-square-foot, boomerang-shaped house that would provide 180-degree views of the ocean, plus protection from afternoon winds. 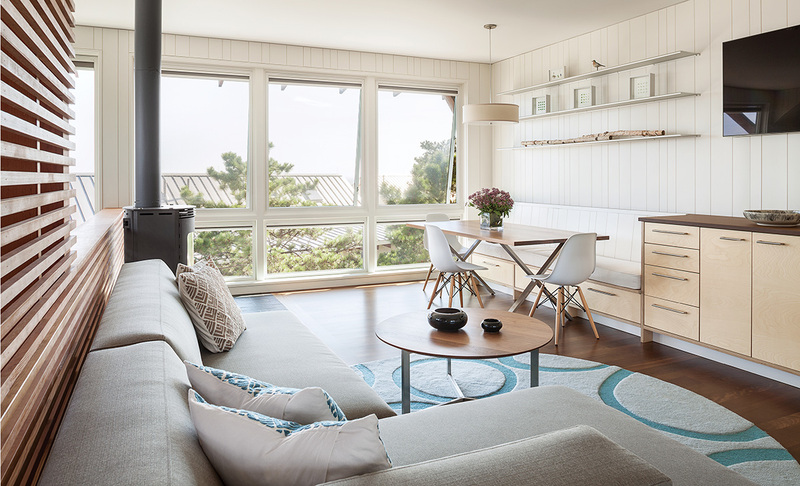 Composed of separate yet connected buildings, it would feel like a rambling seaside camp—a welcome change from the conventional 1970s home that it would replace. It was a go. But before the first nail was even hammered, Tyson and his team researched the wind patterns and calculated the angle of the sun. They decided to face the main living space north and south, with adjacent exterior spaces located to the east and west, to maximize solar exposure and natural light. 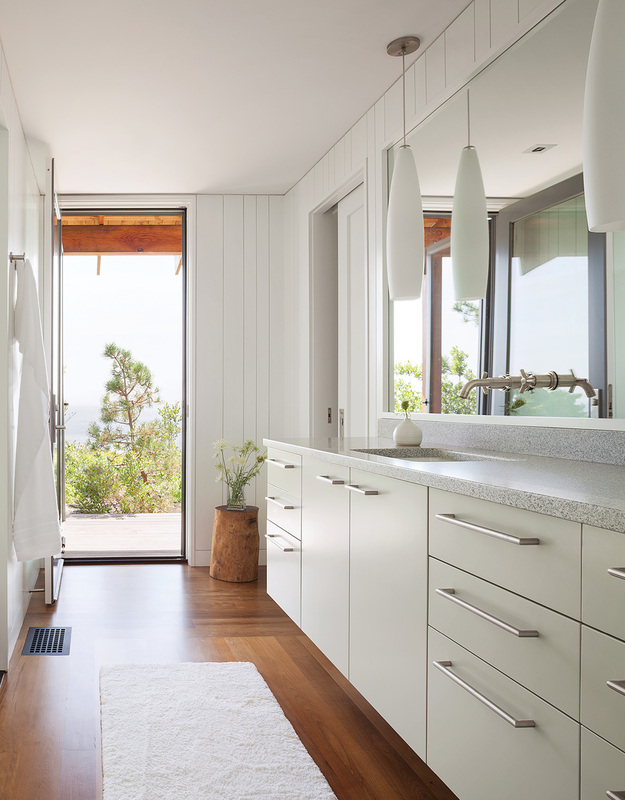 Guests enter the home through a generous glass entry, outfitted with built-in cubbies and a storage bench. 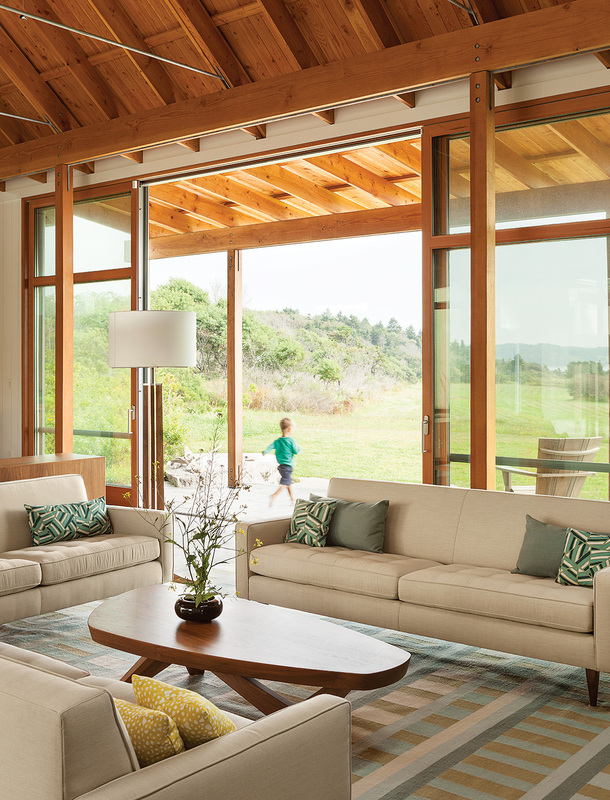 The living and dining area boasts vaulted Douglas fir ceilings and giant lift-and-slide glass doors on opposing sides. “They get a bit of ‘wow,’” Tyson says, referring to the view outside. 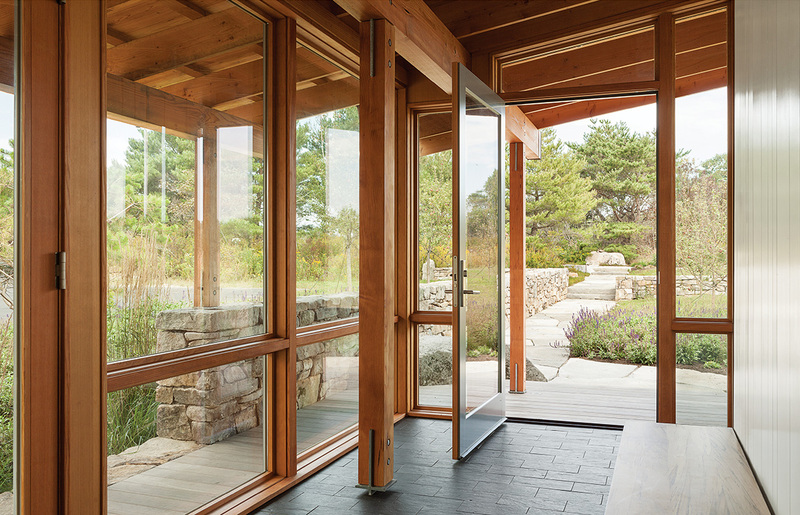 Through one set of sliding doors is a small courtyard with a granite patio surrounded by native pitch pine trees and blueberry bushes. 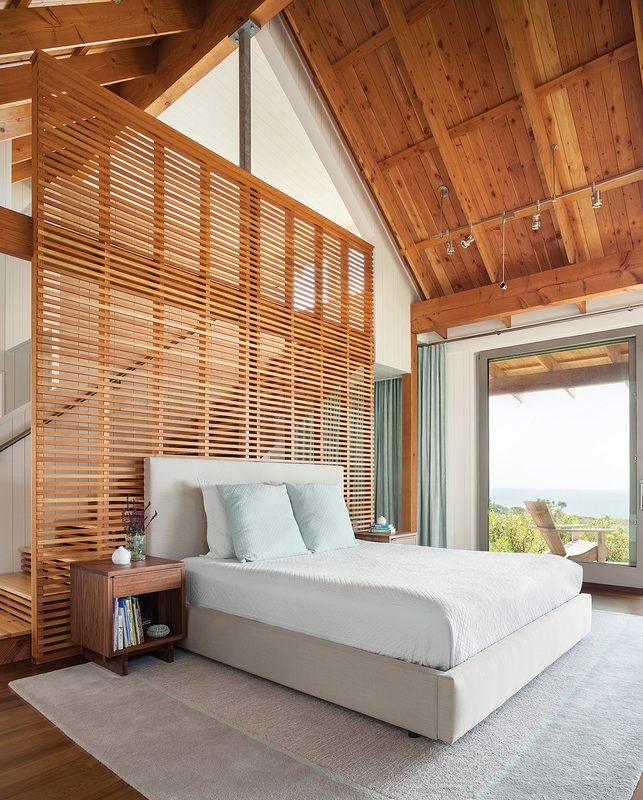 A glassed-in walkway leads to four bedrooms, each with a door to an oceanside porch, one of the design’s main selling points for the owners. 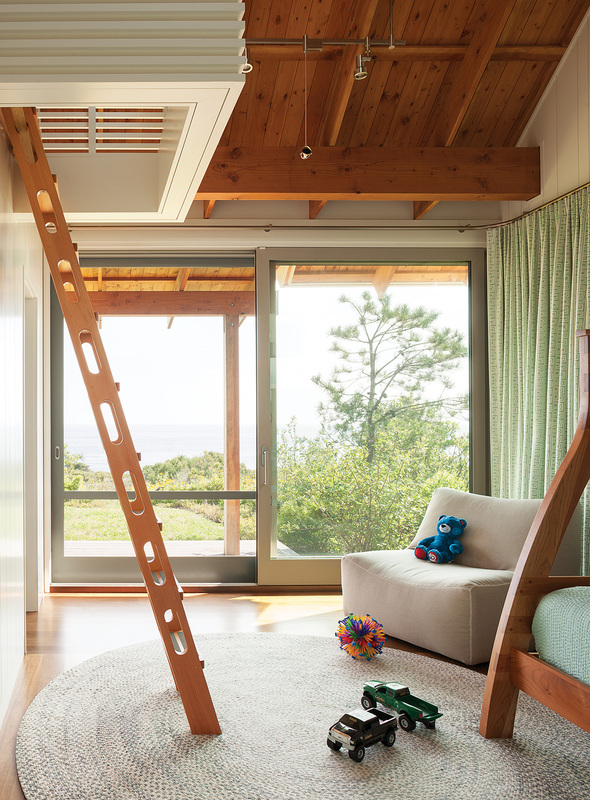 At the intersection of the public and private spaces is the homeowner’s favorite retreat: a screened porch with vistas up and down the coast. Here, the family can read books, enjoy leisurely meals, or converge around the big stone fireplace on buggy days. On clear nights, they head to the oceanfront patio to roast s’mores over the fire pit and gaze at the stars. The family members cherish their time in Maine, he says, because it’s so different from their urban life in New York City. “We can walk outside from anywhere in the house,” he adds. “You can’t do that in a seventh-floor apartment.” And the children can play largely unsupervised in the protected courtyard, which sports a giant, weathered boulder the size of a car with a naturally depressed area that collects rainwater—perfect entertainment for the two “little scientists,” as their parents like to call them.